Luminary Group LLC is a licensing agency which states on its website that it serves as the business representative of the Honus Wagner estate. Luminary offers to work with companies who wish to license use of Wagner’s name or likeness. Defendant Roberts is a South Carolina resident and the sole heir to the Wagner estate. 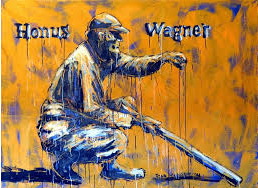 Claiming that they solely own the rights to the Honus Wagner IP rights, Plaintiff alleged claims under the Lanham Act and state law claims under Florida law, among others. The Defendants moved to dismiss based on lack of personal jurisdiction in Florida, and the court agreed. Luminary argued that its only contact with Florida was that its website was available to be viewed in Florida, and that someone could send them a message from Florida. Luminary submitted affidavits stating they have no employees, offices, agents, licenses, real property, bank accounts, phone numbers, addresses, or product production in Florida. Roberts also submitted affidavits highlighting her lack of any connections to Florida. Through its analysis of Florida’s long-arm statute for personal jurisdiction, the court found it did not have jurisdiction over the Defendants and granted the motion to dismiss. The case was assigned to Southern Florida District Judge Case 0:17-cv-61317-BB. Beth Bloom, Presiding Judge; Alicia O. Valle, Magistrate Judge.